First off, sorry for the lack of updates. But I hope I'm not too late for this. 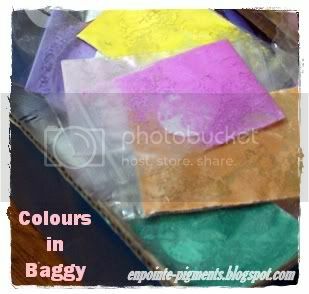 Postage will be free for purchases RM30 and above, otherwise, postage rates is on the side bar ya. Mohagany: from Mad Minerals. Brown with red undertones and slight shimmers. Sedona: Brown with orange-red undertones.Slight shimmers. Midnight: Dark Blue with black undertones. Very slight shimmers. Cobolt : Blue with little purple reflects. Slight shimmers. Neon: from Sweetscents. Bright colored yellow with shimmers. Gray Purple: from Mad Minerals. Gray with light purple hues. Very slight shimmers. Amenthyst: from Sweetscents. Purple with blue undertones. Magenta: from Sweetscents. Purple with slight blue undertones. Slight shimmers. Delta Sunrise: from Sweetscents. Fairy pink with white reflects. slight blue undertones and shimmer. Baby doll: from Sweetscents. This is a blusher color. Suitable for fair/neutral skintones. Pink Opal: Pink with white reflects. Shimmery. 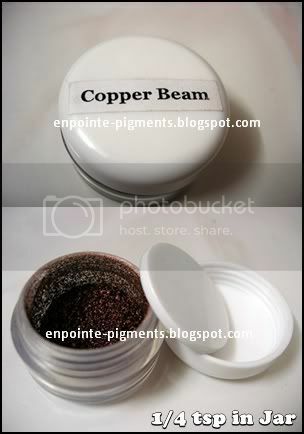 Bordeaux Glitter: from Coastal Scents. Very glittery in Reddish-brown color. Antique Copper Green: from Coastal Scents. Dark Green with gold reflects. Opaline Green:from Sweetscents. Light green with slight shimmers. Temptress: from Sweetscents. Darker green with slight shimmers. Polish Silver: from Sweetscents. Silver with glitters. Very shimmery. Sparkle: from Sweetscents. White with blue reflects. Very shimmery. Antique Copper: from Coastal Scents. Brown with copper undertone. Slight shimery. Chocolate: from Mad Mineral. Matte color. Egyptian Oracle: from Sweetscents. Brown with slight reflects. Chi: from Sweetscents. Brown with shimmers. This is powder foundation that can be applied double layers to conceal acne/redness. 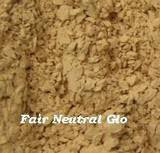 The newest addition to the Sweetscents line of minerals is our fabulous new line of glo foundation, foundations which also work well as concealers, blushes which also double as flushes for the healthy look, and of course fabulous mineral veils, are often used as either a foundation, concealer, mineral veil, or as a highlighter. This is the new spring look for flawless, airbrushed look without the sparkles, just a healthy hint of glo. Many of these shades can be used as a translucent blush for the beach, or as a setting veil for your makeup. Our glo foundation also help absorb extra oil and perspiration. These foundations are great in the gym, or pool, as they are not removed with water contact. If you simply dab the face dry rather than rub it, most of your mineral makeup will stay intact with this fabulous new line. They contain a SPF factor of 19 with normal application, 2 layers will provide more protection, a very light layer will provide less. All Sweetscents minerals are free of bismuth oxychloride, fillers, perfumes, oils, chemicals, or talc. The light reflecting minerals make your skin look healthy and fresh, giving you a natural soft radiant glow look without that thick pancake mask look. 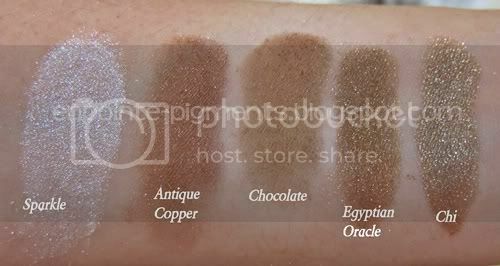 Sweetscents minerals will even out skin tones if you have lighter and darker areas of skin on the face. Folks often use this makeup that is dermatologist recommended with skin problems such as Rosacea, dermabrasion, acne or sensitive skin. Our mineral makeup will not clog your pores, nor cause skin eruptions, it will minimize the appearance of pores when applied. It is used to conceal fine lines in the face. Using of our minerals will make you look like a goddess, with beautiful luminescence, the minerals are weightless and glide on like silk, giving you a beautiful natural finish with a soft radiant glow. Last NYX Concealer in Jar - Beige RM20 now!